This must be my Eye Look Number one thousand five hundred and ninety-three that uses yet another brown/brass/olive green shade. Yes, I know, big yawn. Of course, I used an eyeshadow primer, but that's common across all my non-ELLIS FAAS eye looks anyway. 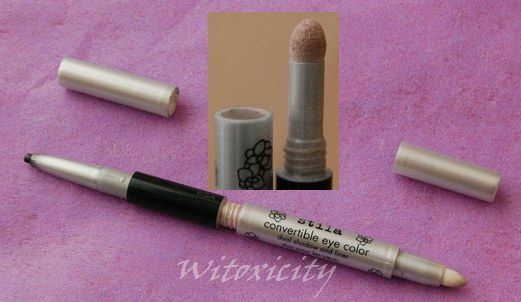 If you had read my review on Stila's Convertible Eye Color last week, you would know that it's an eyeshadow and eyeliner in one. The only other thing I needed was a mascara. 1. Colour the lid fold with the olive green eyeliner portion, winging it a bit. 2. Smudge the upper edges slightly using the provided smudger. 3. 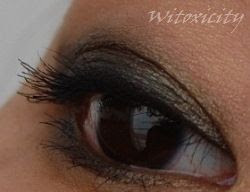 Dab with finger the beige/champagne-coloured powder eyeshadow all over the lid, extending it above the olive green. 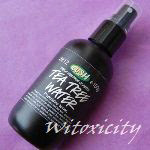 This softens the olive green shade and gives the whole lid a hint of shimmer. 4. Line and tightline with the olive green eyeliner. 5. Line outer two-thirds with the eyeliner. Smudge. 6. 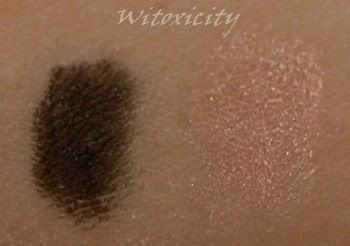 Dab with finger the powder eyeshadow onto the inner one-third. 7. Curl lashes and apply mascara. That's how convenient the Convertible Eye Color is. 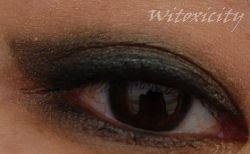 Maybe, just maybe, I will do neutral Eye Look Number one thousand five hundred and ninety-four with this later. So cool. Thanks for the tut girl. Love it. Dark smokey olive eye makeup always looks fab. I must look into these convertible colours. Ooohhhh.. I love dark/olive greens on the eyes. I dnt know but I think most greens bring out the beauty of Asian eyes.. :) hihi. take it from me, a proud Asian, I must say. your smoky eye look is stunning! didn't know stila has such amazing products! No yawn from me! I love this color palette- it's gorgeous! 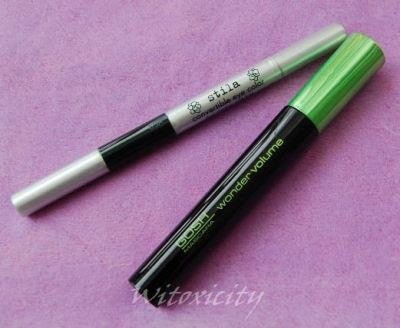 I have never tried the Stila convertible eye colors, this looks rather useful. That sheer color almost resembles kitten- but softer. Oh, who cares? 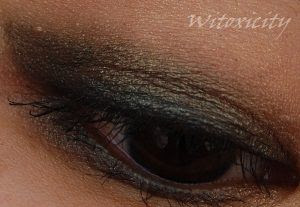 It's your blog anyway, so if these are your most favourite of eye-look colours, you just go ahead and go crazy with them XD! And I'm totally waiting for number five hundred and ninety-four :D! Oh, thank you for the tag, Jeanie! And I'm glad this look isn't boring for you. :) Well, this wand is indeed a useful eye product. As I said before in my review, all Stila needs to do is improve on the formula. Adorned Nails: Essence Where Is The Party?